Bitcoin startup Case Wallet Inc. has raised $1.5 million in a latest seed funding round led by FuturePerfect Ventures, RRE Ventures, High Line Venture Partners and the Rochester Institute of Technology Fund. The New York-based company meanwhile is close to completing the shipment of the 1,000 units of its credit-card-sized Bitcoin hardware wallet. Launched in 2014, the product has garnered enough fascination for featuring the biometric, and the gradually emerging multisignature technology. However with the new fund round, Case is reportedly looking to leap over its pragmatic consumer market to further hunt widespread adoption among the major financial sharks. In the company’s latest press release, CEO Melanie Shapiro described the potential role of Case Bitcoin wallets in assisting Nasdaq’s plans to experiment with the blockchain. 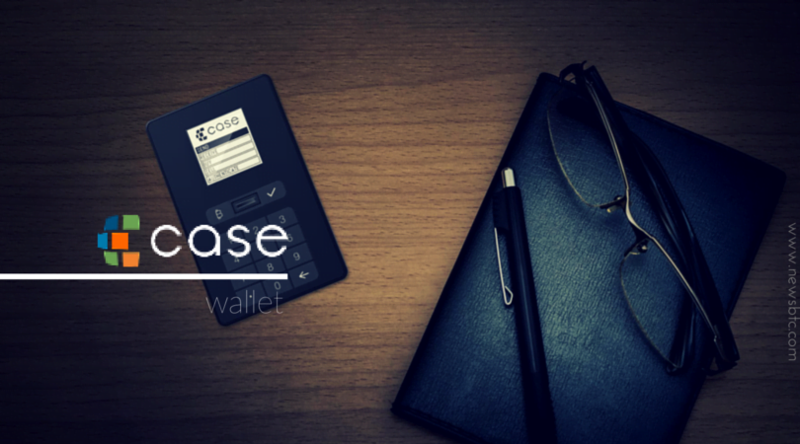 By combing the two distinctive technologies into one another, the Case Wallet has indeed brought a viable alternative to the Bitcoin wallet user base, a majority of which still lives under the fear of being either hacked or losing their coins to system errors. Unlike online wallets, Case tends to identify a user through an in-built fingerprint scanner which, if matched, allows him to send Bitcoin using a multisignature authentication protocol. “We look forward to working with Case’s world-class team to drive adoption of digital transactions and provide broader, more efficient access to financial services for the global market,” he added.